Salvia is a genus of plants in Lamiaceae family. The genus is distributed throughout Central and South America, Central Asia and Mediterranean and Eastern Asia. 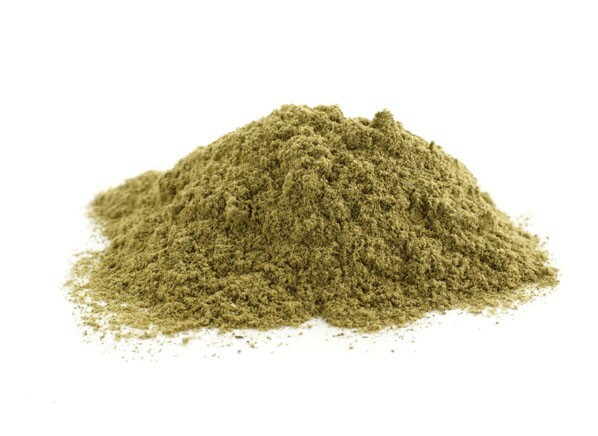 The term Sage generally refers to Salvia officinalis (also known as common sage, culinary sage, kitchen sage, garden sage, or simply salvia). Sage is used in cooking and as an ornamental plant, but also for medicinal purposes, as it is anti-bacterial, anti-hydrotic, anti-inflammatory, antiseptic, antispasmodic, antiviral, astringent, carminative, emmenagogue, relaxant, and spasmolytic. 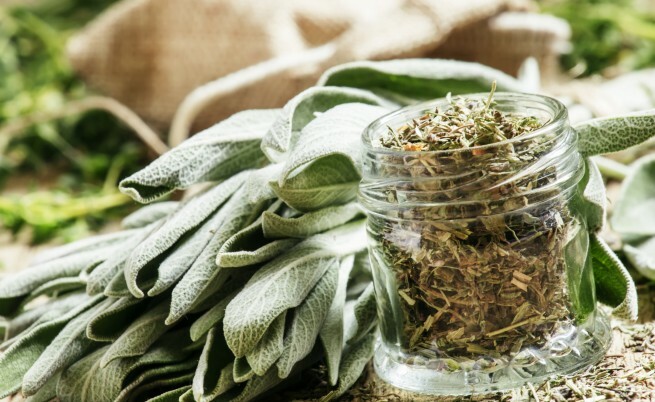 Sage helps in digestion and is an appetite stimulant, so you can use it for digestive problems, including abdominal cramps, bloating, diarrhea, heartburn, loss of appetite, gas (flatulence) and stomach pain. 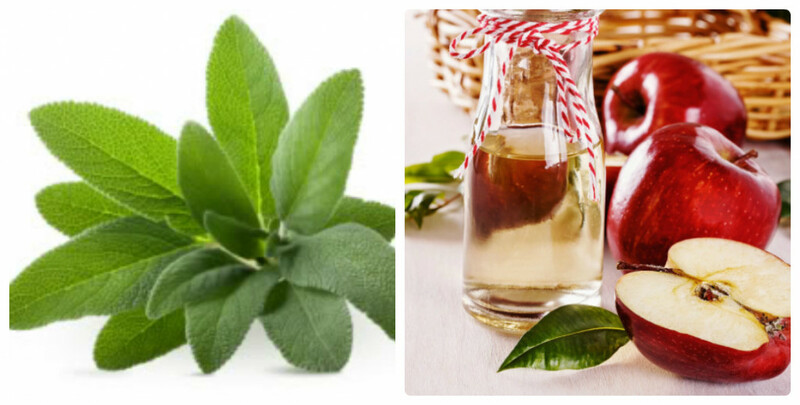 Sage contains phytosterols, which have a cooling action, so it reduces perspiration. It can be used for inhalations to treat asthma too. Besides, it helps in cases of depression, memory loss, and Alzheimer’s disease. You may also use this medicinal herb to stop breast-milk production when you want to wean your child from breastfeeding. Besides, this medicinal herb can work as a hair rinse for dandruff, oily hair, or infections of the scalp. Externally, this natural ingredient can be applied directly to the skin for treatment of cold sores, gum disease, sore throat, mouth or tongue, and swollen nasal passages. However, you should be careful and not to use sage if you are pregnant if you suffer epileptic fits or to suppress perspiration in case you have a fever. Also, this plant is toxic in very large doses or when taken for extended periods. 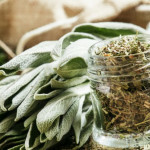 1 pint boiling water or ½ oz fresh sage leaves. Pour the boiling water onto the dried sage. Infused all the ingredients in a ¼ gal of boiling water and strain the solution after half an hour. Drink several cups of sage tea a day for a couple of weeks if you want to dry up milk flow or reduce perspiration and other secretions. 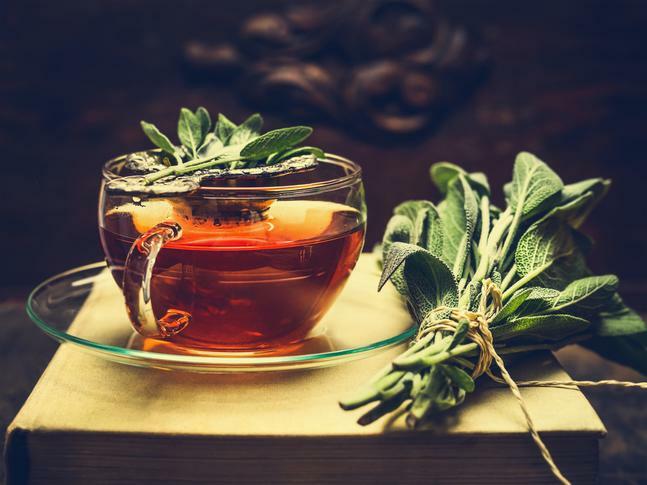 Gargle with sage tea or take small sips throughout the day to treat congestion. If you prefer to use a tincture, take a ⅛-½ teaspoon in a sip of water once or twice a day. 4 tablespoons sage/rosemary/thyme (or any combination). Heat 2 cups of apple cider vinegar until it boils. Pour over your herbal mixture. Let it cool down overnight. Strain well and pour into a bottle. Mix ¼ cup of this solution with 2 cups of warm water. Use it as a rinse.